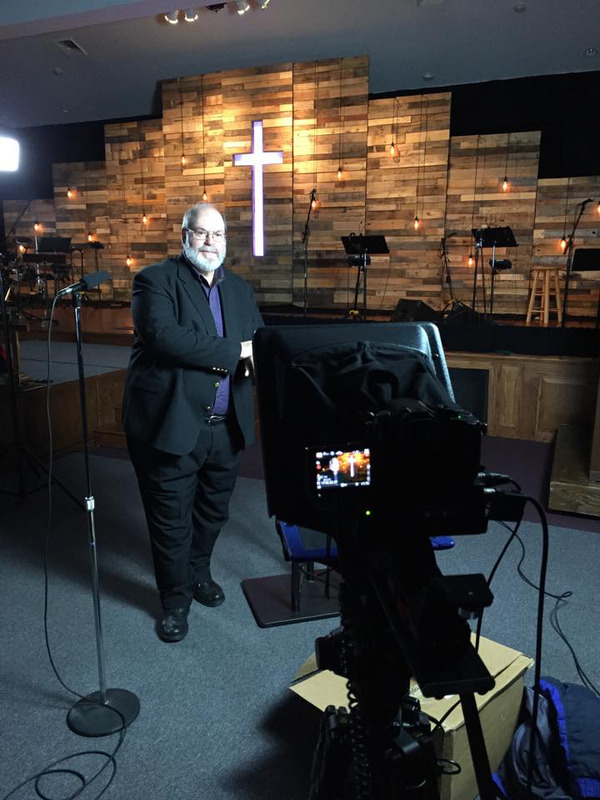 Dan’s father, who was a pastor for many years, had a media ministry way before its time. He had minute spots on local radio stations, half-hour radio programs on Sunday morning and a half-hour television program called: “Lord of Life” on a station in Allentown, PA. He used to say – “Danny, when non-church goers go through a crisis, who do you think they will turn to?” The answer was obvious – him, their radio/TV minister. During our first church in 1979 we began our media ministry with 1-minute radio spots. Since then we’ve had a half-hour radio program and two TV programs: “Public Pulpit” (a debate format with a liberal minister); “the bottomline” (religious interview program with Dan getting the last word with his bottom line. ).